Due to the fact that vents and ducts are frequently unobserved, a lot of homeowners may even forget when it was that they were serviced and cleaned last. 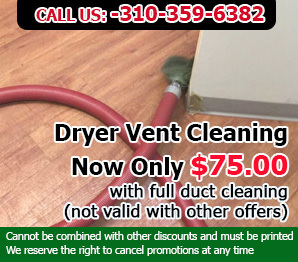 As a matter of fact, vent and duct cleaning and maintenance do have health benefits and may even lessen the amount of money you spend on energy bills. The ductwork should be sealed properly, be insulated and very stable so that the heating and the cooling systems are able to perform their best. 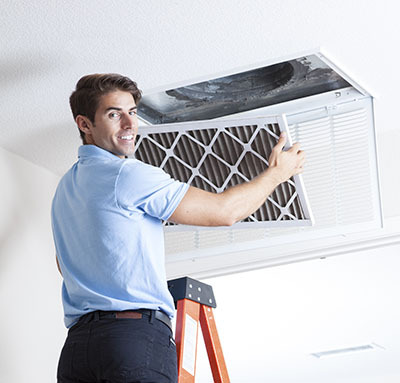 Our air duct cleaning company offers various air duct replacement services to ensure that the heating and the cooling system in your home is functioning properly so that the rooms make a healthy and safe environment for everyone. A lot of homes have ductwork that is leaky and with an inadequate flow of air. Fumes coming from either within the household or outdoors, dust and insulation particles are able to infiltrate the duct system and cause allergies and other respiratory diseases. The result is an unsafe environment and a lot of discomfort, no matter the setting of the thermostat. When ducts are sealed properly, they lead to a comfortable temperature with high indoor air quality. When ducts are sealed properly or after they have undergone a full-on replacement, you will not only notice that your air will be a whole lot cleaner but you will also see a decrease in your monthly electricity bills. Your thermostat and HVAC system does not need to work as hard to maintain an optimum temperature, as there are no leaks or cracks through which it can dissipate. In other words, a properly functioning ductwork helps you achieve energy efficiency. If you are wondering about when you should opt for an air duct replacement, our expert technicians are able to perform air quality testing, to see exactly how safe your indoor air is and to inspect your ductwork for any impairment. Another thing to remember is that the failure of an HVAC system is more frequently pinpointed to an air filter that is dirty. Dirty filters limit the flow of air, which adds more strain on the motor of a system which in turn leads to overheating and burning the motor out. If that is the case, the duct filter should be replaced. When an air ducts filter is dirty, it also consumes a lot more energy. With that in mind opting for this replacement measure is worth every cent spent, as it will extend the lifetime of your whole HVAC system and saves you money in the long-run. If you want your indoor air quality to be high and your monthly electricity bills low, properly sealing up or replacing your ducts is necessary. Our team of professional technicians from Air Duct Cleaning Redondo Beach is ready to jump to your rescue and optimize your home environment for better safety and efficiency.